Coming to our first annual Cross Border Summit? Transportation selection is always overwhelming here in the South of China! So we thought a dedicated post would be what’s needed. We have a popular post about the Hong Kong / Shenzhen border crossing, so please refer to that for all your border hopping needs. Today we will cover a bit of the border, but also dig more on specifics to get to this exact venue. Related: Looking for a hotel near the summit? Check our post about Shenzhen hotels. Where Is The Venue, Exactly? So the venue is in the Shekou IT Torch Park, also getting branded as “Net Valley”. We have a rooftop venue on top of the IBM building in the middle of the tech park, a nice venue looking at Nanshan Mountain and various tech buildings. It is at the intersection of Nanhai Avenue (Nanhai Dadao)and Gong Ye Liu Road (Gong Ye 6th Road). When you get off, you’ll see a big China Merchants ATM. 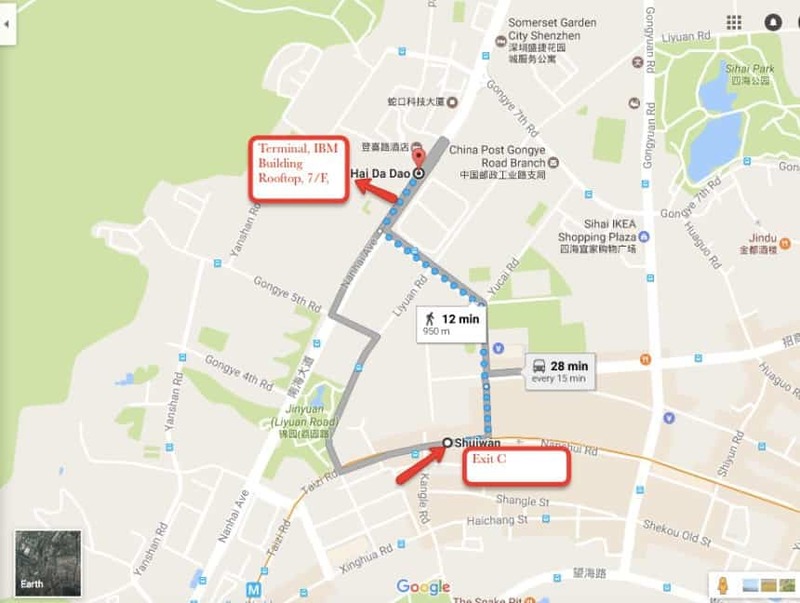 You need to walk to the middle of the block, between Gong Ye 6th Road and Gong Ye 7th road. You’ll see a Bear’s Coffee at the front of the building. Once you see that Bear’s Coffee, you know you are close! That is the building where the venue is, but you need to find the entrance on the left side of the building (the side that Bear’s coffee shop is on). Look for the sliding glass doors as the entrance to the corporate offices and the elevator hallway. You can take the ferry from the airport, but it doesn’t run too frequently. Therefore we recommend the Skylimo at HKIA – this is a 6 person van that takes you from the HK airport to various borders of Shenzhen. So which border, you ask? Here’s the catch – Shenzhen Bay border is the closest border to the Cross Border Summit, but it closes about 9:30pm/10pm – and the Skylimo stops going there an hour or so before that. So if you are able to catch a Skylimo to Shenzhen Bay border – take that option. But if you arrive later – you need to choose the Huanggang border, which is open 24 hours (the only border open 24 hours) – but you need to catch the Skylimo before midnight. If you miss the last Skylimo (around midnight) then there are still ways to get to Shenzhen that night – or you can stay at the Hong Kong airport lounge / hotel. If you want to still travel to Shenzhen that late you can book a private cross-border car or you can take a taxi to the border. We know there are so many options, but this one runs the most frequently and is most economical for time/value! One of our speakers, Chris Davey, is heading over from Zhuhai and will just hop on the ferry. He says it is nice and easy! Here’s a link to the ferry website. The schedule doesn’t run often, so you need to look at the times ahead – they only have a few per day. Another popular way is to take the bus over. There are quite a few bus pick up stops, but the key here is to pick the one going to Shenzhen Bay border. It is the closest border to the venue. Once you cross the border, you will then need to take a taxi. There is a taxi stand on the right side as you exit the border. The fee to the venue should only be about 15 – 20 RMB (about 2 to 3 US dollars). Show them the address at the top of this blog post and most should know where it is! Like to stick on the HK Metro? Our venue isn’t that close to the borders that are near the HK MTR borders, but you can later transfer to the Shenzhen metro system. There are 2 choices for Shenzhen borders on the HK MTR – one is Lo Wu, and the other is Lok Mau Chao. The closer border for our venue is Lok Mau Chao. But don’t panic if you took the other one, they both are do-able – it will be an extra 15 minutes on the metro. Cross the border and then transfer onto the Shenzhen Metro system. The closest Shenzhen Metro station is “Shui Wan”, on the Shekou (orange) line. 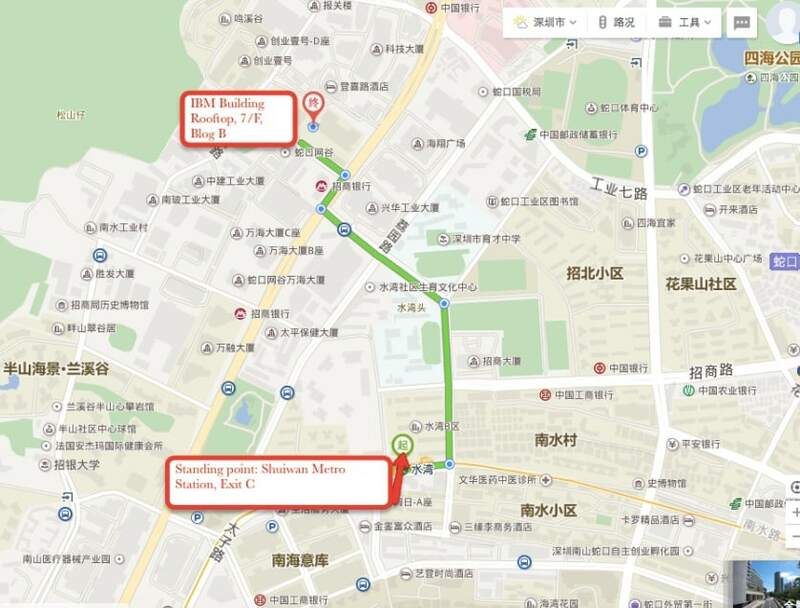 Check the section of this post called “By Shenzhen Meetro” for exact directions on taking the SZ metro to the venue. You can also take a Shenzhen taxi from these borders. If you take the taxi from Lo Wu it would be about 90 RMB (15 US dollars) and if from Lok Mau Chao about 60 RMB (11 US dollars) to get to our venue. 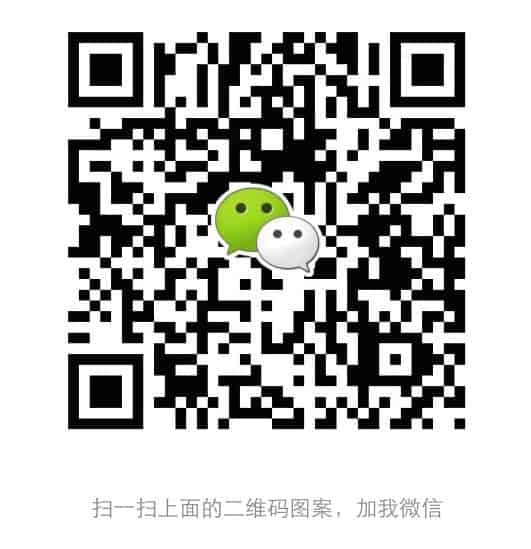 Some may be up at Guangzhou and want to come over – maybe they are at the Canton Fair or something. 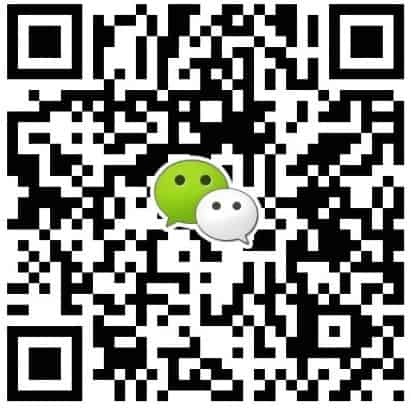 Lot of trading companies based in Guangzhou. The best way I would say to come is to take a coach bus from one of the Guangzhou Bus Terminals. Any one that is closest to you is fine. But the destination here in Shenzhen is the key. Tell them you are going to the Shekou Bus Terminal in Shenzhen. This will be about a 10 minute taxi ride to our venue. Once you arrive at the Shekou Bus Terminal, grab a taxi and show them the address here. It should be about about 15 – 20 RMB (2 to 3 US dollar) taxi ride away. Or you can just go to any high-speed train station get a ticket and hop on. You will be in Shenzhen in no time ( 30 minutes), cost : 74.5 RMB. When you arrive, take a taxi to our venue. If you get off from Shenzhen north railway station and take a taxi it will cost 70RMB (11.15USD) If you get off from futian railway station, take a taxi to venue it cost 55RMB(8.8USD) , easy-peasy! You can also take the Guangzhou train to Shenzhen (or Luo Ho) – and then take a taxi (about 120 rmb and 45 minutes) or a subway (about 1 hour 15 minutes) from Luo Ho. The subway system in Shenzhen is growing like mad! New lines and stops popping up on the regular. If you are on the metro, look for the Shui Wan station on the Shekou line. You would transfer to the Shekou line at the Windows of the World station. Make sure you pick the destination that is going to Chi Wan, as the Shekou line goes in 2 directions at the Windows of the World stop. Once you get to Shui Wan Tou, take the C exit. Now, you have a few choices on how to get to the venue. It’s about a 8 minute walk and a couple turns so we hope you can find it. We will have our Cross Border Team members there with our branded t-shirts so you should be able to spot them. They will be at the street level of this exit, and can help point you in the right direction. Walk out of the exit and go straight to the first intersection. Take a left. Go up the road, past the school, and go to the T-intersection. It is about a 3 block walk. Once you get to the T intersection, cross the road (it is a big 4 lane road, look both ways when crossing). After crossing the big T intersection, take a right. You’ll pass a China Merchants ATM on the corner. Cross that street and continue straight. In the middle of the block you should see a Bears Coffee. Take a left to enter the Shekou IT park. You should see some signs and volunteers in this area. Continue walking into the IT park, and it is the same building as where Bear’s Coffee is. There are sliding glass doors in the middle of the building and walk inside. Go to the elevator in the back of the hallway. Take the 3rd elevator (furthest from the entrance) and go to the 7th floor. This is the rooftop and you will see the entire summit once the elevator doors open. Pretty simple, and how most will come. Taxis are everywhere, and show them the address at the top of this post and they should know where to go. Always ask for a receipt (fa piao) when leaving the taxi. This is so that if you overpaid, or left something in the taxi, we can help you track it down later. There is a bus station right in front of the venue. Line 113 and K113 are the most common and stretch pretty far across Shenzhen. Definitely the cheapest way, the fee is about 2 RMB (30 US cents). The name of the bus stop is 招商发展中心 and a Chinese friend can help you check bus routes from your location. We hope these directions are clear! Complicated and clear. But as a “Cross border business executive” you should be a pro at traveling international. Please leave questions or feedback in the comments below. And of course we will have a phone number you can call for help on the day of the event. 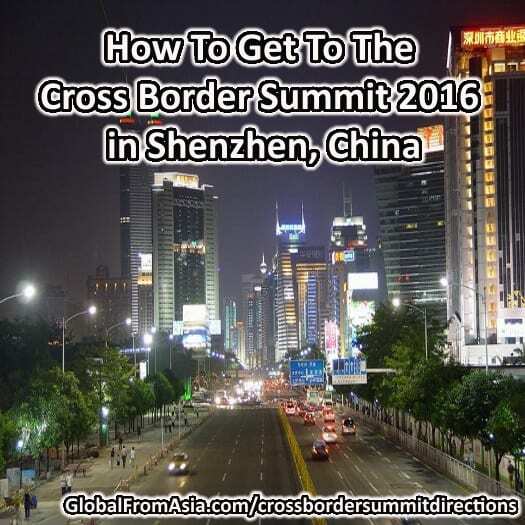 We will send the contact details to you in the email when you register for the Cross Border Summit.